Kalyani Nagar is a neighbourhood located in the eastern region of Pune. It is named after late Neelkanth Kalyani, one of the city's foremost industrialists who pioneered the Kalyani Forging company in the early 1960s. 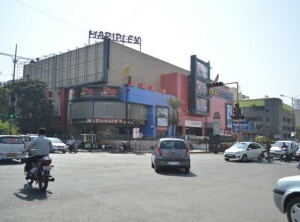 Kalyani Nagar is popular for its restaurants, pubs and most notably Gold Big Cinemas multiplex which is in the Mariplex Mall. Let's discover your own locality Kalyani Nagar.